Mr Yellow Jacket is travelling on a bus when he meets a kid, who notices his gun. Yellow Jacket offers the kid his gun but fortunately, the kid is called away by his mother. Yellow Jacket makes his way into a lovely gated community to meet with Mr. Frost. Unfortunately for Yellow Jacket, he is forced to deal with Tess Shoemacher instead. Tess informs Yellow Jacket that Frost is not impressed that his actions drew so much attention and the fact that because of him, Holden is on high alert. Yellow Jacket tries to protest that at least he got proof of what Holden can do but Tess isn't having it and gives him his walking papers. I think I'm going to like Tess, she seems to be really good at throwing shade. Yellow Jacket then heads home. It's a bit shocking because we're set up to expect him to do some violence in this quiet suburban neighbourhood. He's greeted by his daughter and his wife, who is not at all pleased. It seems that she believes that Yellow Jacket is a travelling salesman and is not pleased that he didn't have a chance to talk to his so-called boss about a promotion. Frost is stopped from further explanations when Mr. Frost calls him personally and seemingly reassigns him. Willa has been busy blowing up Holden's new phone. Holden cannot take it anymore and so tosses the phone in the garbage. In the garage he meets up with Luke, who suggests that what Holden really needs is to blow off some steam and so invites him to a college party that he is headed to. Once there, Holden is clearly a fish out of water as he makes his way through a crowd of people. He meets Jamie and the two start to make out on the couch but when Holden opens his eyes, he sees Willa instead of Jamie. Confusion begins to set in as the bald man makes an appearance on the couch beside Holden. Clearly off balance, Holden makes his way to the bathroom and promptly collapses, ending up mentally in a different place, even as his physical body lies on the bathroom floor. In his new head space, Holden looks like he is in some sort of dungeon and something is pounding on a door trying to get to him. In his panic, in the real world, Holden's mental trip has caused the house to catch fire. Luke begins looking frantically looking for his brother and finally finds him in the bathroom curled up in the fetal position. Luke manages to get Holden out of the house safely and then the two brothers flea before the cops show up. The fire it seems is the last straw for Holden and so he heads to Willa's apartment. So far, Beyond has spent its time setting up its narrative and introducing its characters. Other than Kevin, I'm not certain that we are going to have any regular characters of colour. When this is added to the fact that Holden, the straight, white, cis guy is being set up as the chosen one, it just feels old. With all of the interesting new racially diverse shows airing now, why is Freeform falling back to this? 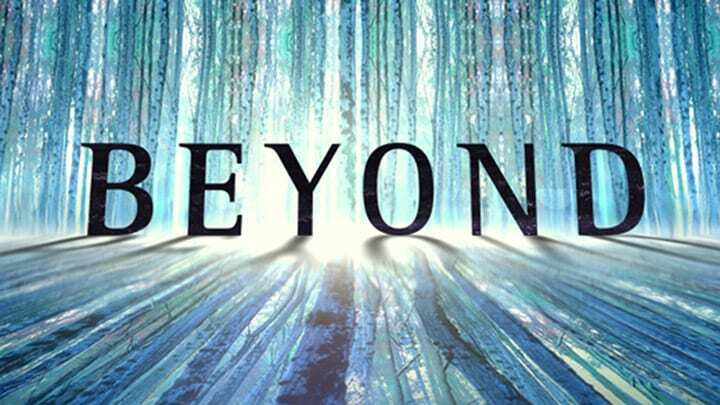 Not only that, but the entire premise of Beyond has been done and in fact, done better. We don't know where Holden went during his coma and what he has become now. It's absolutely a device to keep the audience just as ignorant as Holden, so that we can begin to identify him and the difficult positions he is placed in. In many ways, Holden is endearing with awkwardness but Beyond is going to need more than that to sell this show. They really need to get the meta moving and give us something that we can dig our teeth into because for now, all I see his mindless fluff which is headed nowhere.